Big Ideas Learning is pleased to announce our Help Center. 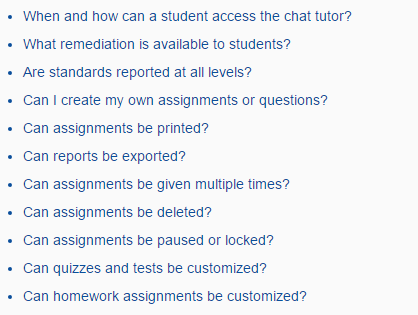 The Help Center is designed to answer frequently asked questions from the Dynamic Assessment System to basic Technical Support. You can access the Help Center by logging in at bigideasmath.com and clicking the link at the bottom of the site. In addition, Teachers/Students may search key words to narrow their search. Once the search is complete, a dialogue box will appear. Posted in News, Resources, Social Media, Technology Updates	| Tagged Big Ideas Learning, Big Ideas Learning Help Center, Big Ideas Math, Center, FAQs, Help, Help Center, Information, Questions, Resource	| Be the first to comment! The following article is from Edutopia. Since the average high school student spends almost seven hours each week doing homework, it’s surprising that there’s no clear answer. Homework is generally recognized as an effective way to reinforce what students learn in class, but claims that it may cause more harm than good, especially for younger students, are common. In general, homework has substantial benefits at the high school level, with decreased benefits for middle school students and little benefit for elementary students (Cooper, 1989; Cooper et al., 2006). While assigning homework may have academic benefits, it can also cut into important personal and family time (Cooper et al., 2006). Assigning too much homework can result in poor performance (Fernández-Alonso et al., 2015). A student’s ability to complete homework may depend on factors that are outside their control (Cooper et al., 2006; OECD, 2014; Eren & Henderson, 2011). The goal shouldn’t be to eliminate homework, but to make it authentic, meaningful, and engaging (Darling-Hammond & Ifill-Lynch, 2006). Homework can boost learning, but doing too much can be detrimental The National PTA and National Education Association support the “ten-minute homework rule,” which recommends ten minutes of homework per grade level, per night (ten minutes for first grade, 20 minutes for second grade, and so on, up to two hours for 12th grade) (Cooper, 2010). A recent study found that when middle school students were assigned more than 90-100 minutes of homework per day, their math and science scores began to decline (Fernández-Alonso, Suárez-Álvarez, & Muñiz, 2015). Giving students too much homework can lead to fatigue, stress, and a loss of interest in academics — something that we all want to avoid. Posted in News	| Tagged Big Ideas Learning, Big Ideas Math, Homework, math, Teacher Resources, Teaching	| Be the first to comment! 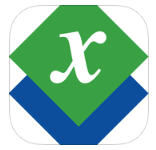 The ExamView installer is now available online for the Big Ideas Math Common Core High School program. Select chapters are available for Algebra 1, Geometry, and Algebra 2. More chapters will be added throughout the summer. 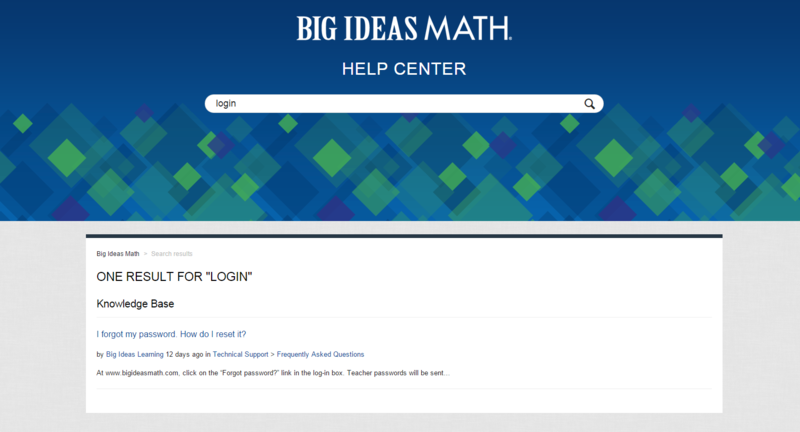 To access the Big Ideas Math Common Core High School Test Banks, go to www.bigideasmath.com and login. 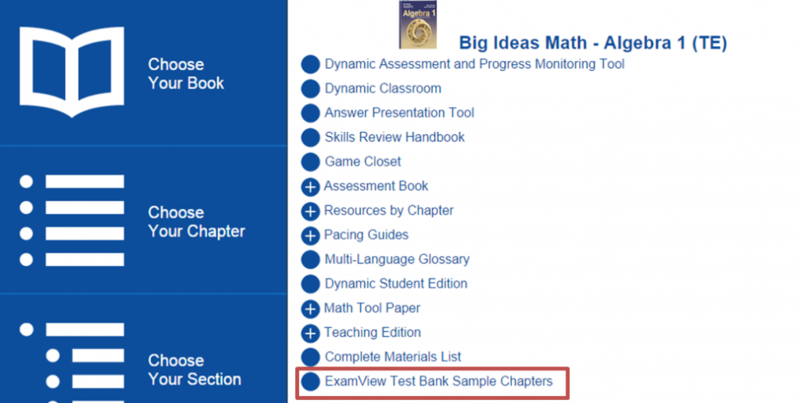 Choose your book and click “ExamView Test Bank Sample Chapters.” A zip file including the installer will download to your computer. For tech support, please contact bil_support@bigideaslearning.com. Posted in News, Technology Updates	| Tagged AGA Series, Big Ideas Learning, Big Ideas Math, ExamView, High School Program	| Be the first to comment! Roster Synchronization and Single-Sign On Made Easy With Clever. 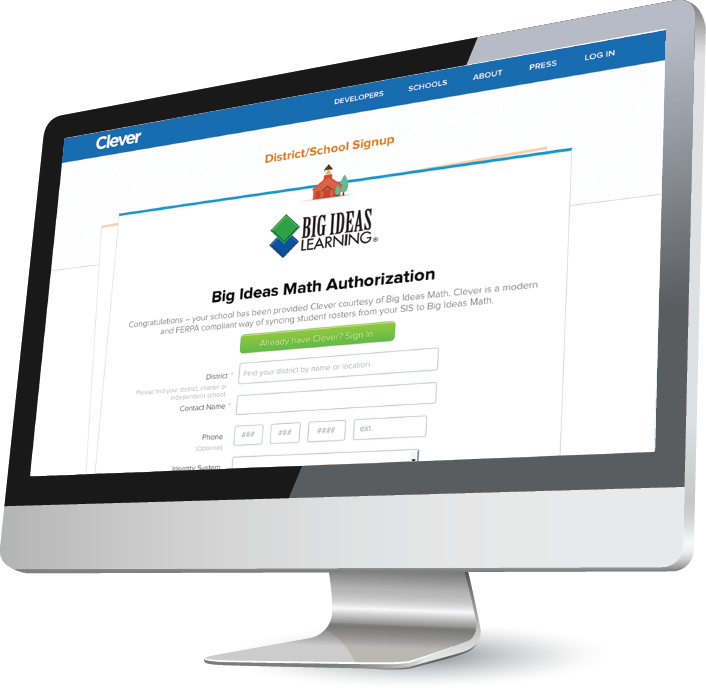 Big Ideas Learning is pleased to announce a new partnership with Clever. Clever securely connects with your Student Information System (SIS) and synchronizes rosters for you automatically. Please go to Clever.com or contact Big Ideas Learning for more information. Posted in News, Technology Updates	| Tagged Big Ideas Learning, Clever, Roster Synchronization	| Be the first to comment! 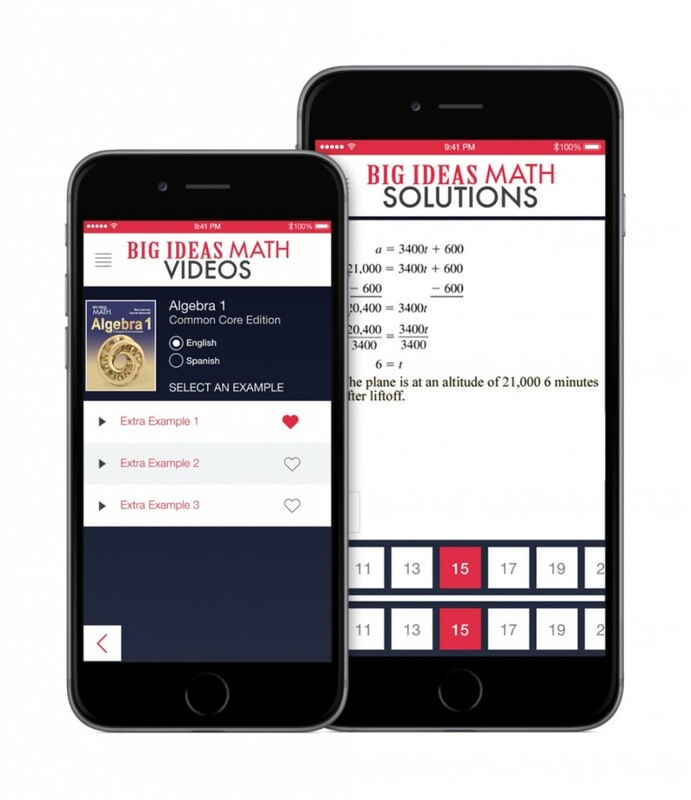 Big Ideas Learning is pleased to announce the Big Ideas Math Videos and Big Ideas Math Solutions Apps, available as FREE downloads in the Apple Store. 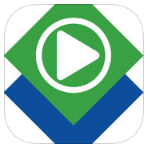 The Big Ideas Math Videos app provides Lesson Tutorial Videos for every Extra Example in the Big Ideas Math high school programs. The Big Ideas Math Solutions app provides access to the worked-out solutions in the Big Ideas Math high school programs. Step-by-step answers help students find and fix their own mistakes and grow as independent learners. Posted in News, Resources, Technology Updates	| Tagged App, Big Ideas Learning, Big Ideas Math App, Big Ideas Math Solutions, Big Ideas Math Videos	| Be the first to comment!